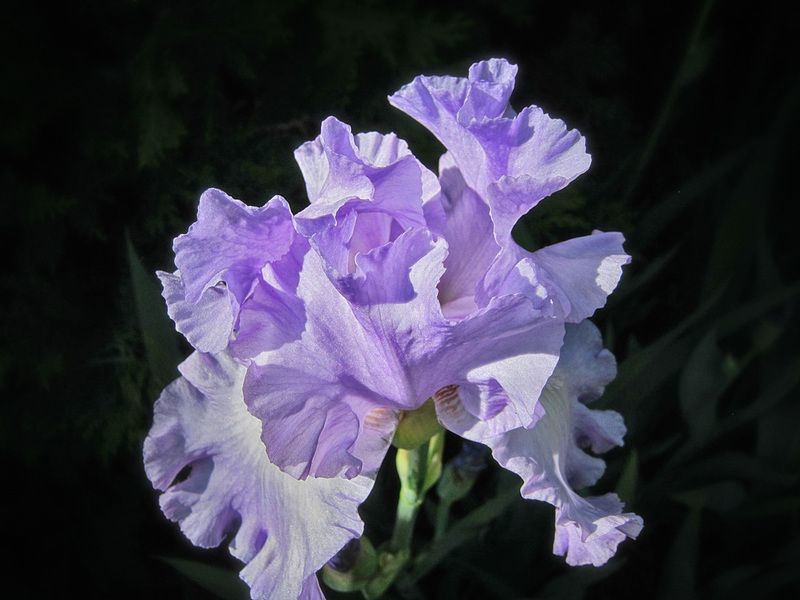 I first became familiar with the iris plant when my husband and I moved to Fort Worth, Texas. Being a native Californian, I told my Texas landscaper what plants I wanted in my new garden. He politely reminded me that I was in Texas now and I needed to plant Texas tough plants. One of the flowers that our landscaper suggested was the bearded iris. 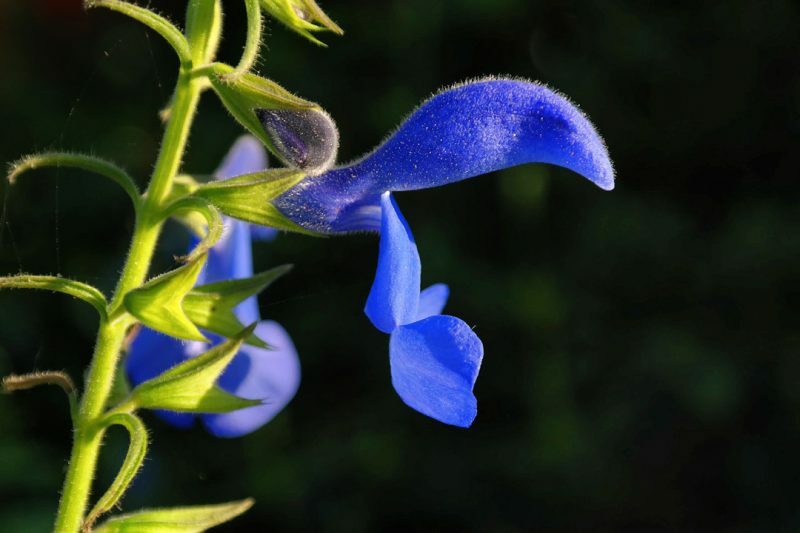 He informed me this perennial plant was drought tolerant, it thrives with six or more hours of sun, and could handle extreme cold and heat – hence Texas tough. He said the iris grows from a rhizome which is a long, horizontal, stem that looks like an enlarged bulb-like root. It serves as a special organ for storing food and that the leaves rise directly from the rhizome. The landscaper said the plants with rhizomes will give the best flowers if they are replanted every four years. Other than that, the iris was a fairly low maintenance plant. A low maintenance plant sounds good to me. I eagerly purchased an assortment of colors of iris rhizomes. I planted one of each color in groups. 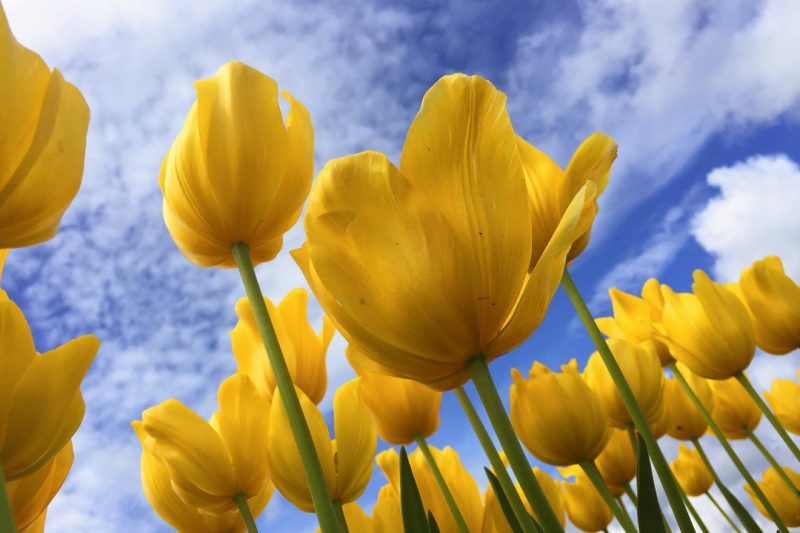 I was rewarded that spring with a colorful bouquet of yellow, peach, blue, and purple. The next year only a couple of colors bloomed. The following year the only color that bloomed was the dark blue. It was a mystery. What happened to the other colors? The mystery was solved after we moved back to California and I joined the Folsom Garden Club. One of the guest speakers was Mary Ann Horton from the Horton Iris Garden. She informed us the name iris comes from the Greek word for rainbow. When I asked Mrs. Horton why when I planted a rainbow of color in an iris grouping that only one color bloomed after the second year? Mrs. Horton explained that the dominate color will take over when different colored rhizomes are planted in the same group. Mrs. Horton suggested that each color be planted separately in their own grouping rather than mixed together. At the club meeting, Mrs. Horton gave an excellent color-slide presentation. 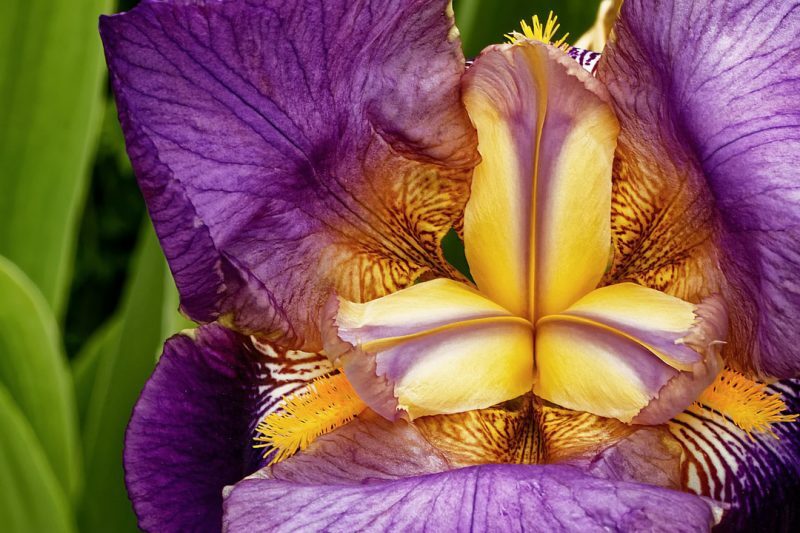 She informed us that the unusual shape of the iris sets it apart from other flowers and makes it easy to recognize. 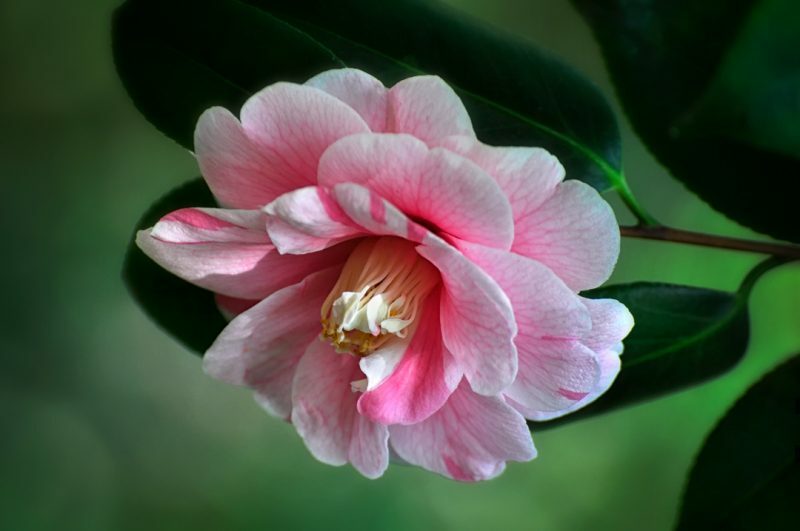 It has three sets of three petal-like parts. The lower set, called the falls, flares out and hangs down. The three upper petals curve up into a dome. They are called standards. Finally, the three curved stamens are in the center. Mrs. Horton also included some interesting historical information related to the iris flower. The fleur-de-lis is a name sometimes used for the iris. It is French for flower of the lily. It became the emblem of the Kings of France in the 1100’s. King Charles V of France adopted three golden fleurs-de- lis on a blue field as his coat of arms in the 1300’s. Controversy! Is the fleur-de-lis a lily or an iris? This argument is centuries old. “Lis” is the French word for lily. But there are different translations, spellings and misspellings of the word ”lis.” These include the possibility that the “lis” in fleur-de-lis originally comes from the German word for iris “Lieschblume,” sometimes spelled “Lies” and “Leys” in the Middle Ages. Toss in all the legends about which flower inspired the fleur-de-lis design and you have one hot debate. The yellow coloring of the fleur-de-lis is another battleground, pitting the wild yellow iris against the white lily. 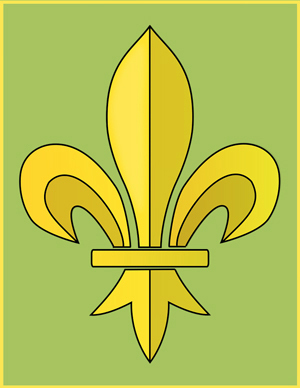 There are even whispers that the fleur-de-lis represents…a lotus! Dive deep into the Internet, friends, and seek the answer to this mystery for yourself. In late April as a follow-up to Mrs. Horton’s presentation, the Folsom Garden Club went on a field trip to the Horton Iris Garden. It was a spectacular sight to see rows and rows of beautiful colors and varieties. The garden has 1,200 varieties of irises. Club members leisurely strolled along the rows of irises taking pictures and taking notes, and members were able to select and purchase plants. The beauty of the iris is that it can be easily split, replanted, and shared among fellow gardeners.